After the last major push in 1930, the company began a rapid decline. A lack of advertising, a withdrawal from market and the worsening economy sent sales plummeting and the company into debt. The upcoming heir to the Weyerhaeuser timber empire, eldest son Fredrick Weyerhaeuser, was especially negative towards the company; considering it an embarrassment and an annoyance; and expended serious effort to try to convince the family to divest itself from the Rock Island Plow Company. Upon his father’s death in 1935, Frederick had the opening to pursue his wish and effectively shut down production at the Rock Island Plow Co. at the end of 1935 despite an economic recovery and many new, potentially good product lines, including a new row crop tractor to compete with the Farmall. It is important perhaps to note that a lot of factors went into the demise of the Rock Island Plow Company. Certainly the ownership, leadership, lack of money for modernization and economic climate were major issues as was Rock Islands slowness to adapt to changing markets were all factors. An absentee board made of disinterested parties cannot effectively run a company. This was certainly in evidence in this case where internal letters show a confused, poorly managed, indebted company with aging product lines and sub standard manufacturing capabilities. Another factor I haven’t dwelled on was the fact that a huge portion of the Rock Island tractor was third party components. While this can be cost effective in some measures, it seems likely that it was part of Rock Islands downfall as each order of components required a substantial outlay of cash. Although the tractors had become one of their better products, RIPC was not realizing the profit other companies could on their tractors. It isn’t until the records after the 1937 case buyout that a picture emerges of a company buying virtually every component; seemingly including not just the engine; but at minimum the transmission housing, clutch, air cleaner, oil cleaner, wheels and formed sheet metal. It is likely far more was also a third party supplied. A major factor in the boards decision to shut down operations was they estimated it cost them 30% more to produce their products then the leading companies, and with the major retooling required, even then the leaders still could under cut their operations. Changes in tax laws also deeply affected the Timber Securities Company that was the holding company of the Weyerhaeuser Family, and one of the things standing in the way of reforming this holding company was the indebtedness of his father’s estate in the Rock Island Plow Company. The period from late 1935 through 36 was a period of great confusion for the company. While the board was busy looking for a buyer and shutting down operations, the rest of the company appeared to still believe they were in operation. A letter from the Dallas Branch office pleaded for product as the competitors in the area were predicting record sales for 36 and were busy hiring salesmen and pushing new product in the recovery from the depression. Another letter in mid 36 talked extensively about the row crop tractor development, which was responded to in confusion by Frederick, who already believed the program shut down. The an earlier letter also indicated that what remained of materials to build tractors would be exhausted by February 1936, even at the reduced capacity of the factory. No indication is given as to how many of these tractors were produced, but at least one ‘36 H22 survives as well as the remains of one of the row crop No.1 prototypes. Although an agent was hired to find a buyer for the company, interest was limited and a deal was brokered bypassing the agent by Frederick to the J.I. 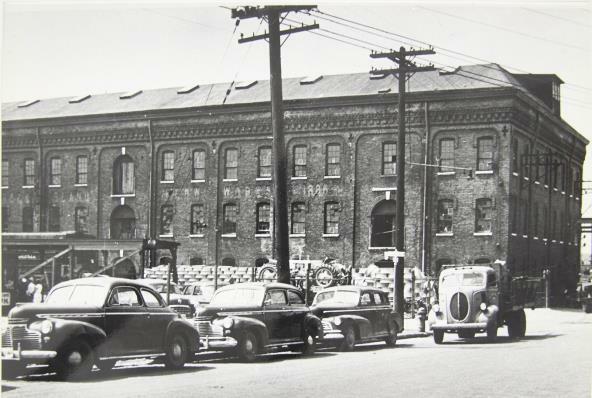 Case Company and on Feb 1 1937 the deal was completed with the deposit of $500,000 in the Weyerhaeuser accounts for the plant, inventory and assets of the Rock Island Plow Company. Frederick wrote to younger brother Phil on the news: “I know this will give you a big kick, as it does me.” - Charles Twining: “Phil Weyerhaeuser: lumberman”. Even though the J.I. 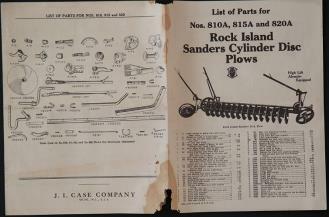 Case company wasted no time in scrapping the Rock Island tractor line, its implements were apparently absorbed in varying degrees by the company. Information is scarce to come by in the time immediately around the sale of the company, but it appears Case did take care to continue to service the Rock Island and Heider lines into WW2. In 2002 Heritage Eagle ran a two part article on an interview with former Case Rock Island plant tractor engineering supervisor Joe Kulhavy that I have received permission to repost (thanks Nick for pt 1). Although the focus was the development of the Case VAC, Joe spent a lot of time talking about the old Rock Islands and the article is well worth the read. 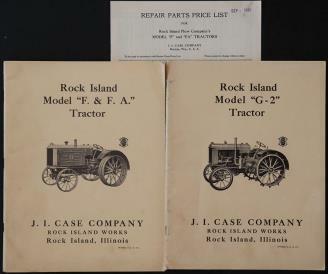 It is striking that Case Rock Island not only continued to service the Rock Islands into WW2, but they also serviced the Heiders to the point of actually repurchasing, fixing up and reselling them. This continued service may help explain why so many seem to have survived. Joes praise of the factory Heider lift tractor is also telling. Another piece of the puzzle comes from Erb and Brumbaugh’s “Full Steam Ahead”. Although continued production of the Case RC series was the first tractor project of the newly reopened Rock Island plant, development soon turned to a new project, the V series. The entrance in to the small tractor market was reluctant by Case, but faced with stiff competition from Ferguson and Farmall, Case was again falling behind and dealers were sitting on too much inventory. The demand for a small tractor resulted in the new Rock Island Plant to be given the lead on the development of the V series. With no real experience in the small tractor market and a lack of facilities at the Rock Island plant (in particular no engine works) problems soon arose. During the prototyping of the V series, Case President Leon R Clausen (who had a large part in moving Case away from the cross motor design and intot he modern tractor era), according to Erb and Brumbaugh, asked plant manager at Rock Island Ted Stahl if anything from the Rock Island line could be of use. Stahl responded December 19 1939 “When you were last here you suggested we review the Rock Island Plow Company tractors to determine if there is anything in these worth preserving for the V series line. We have had one of these tractors and the cultivator brought into the plant and we have set it up and reviewed it carefully. There is little if anything in either the tractor or cultivator the could be used to advantage.” Erb and Brumbaugh “Full Steam Ahead”. This is an interesting statement, as it seem most likely the only tractor this would fit would be the prototype run No.1’s. Considering the rebuilding project Kulhavy mentions, it is no longer a surprise that there were Rock Islands at the plant. This is more significant though in that it means what was effectively a prototype tractor was also saved for at least a few years. Something else coming out of these two sources is the lack of facilities at Rock Island at the time of the sale. While the lack of a dedicated engine production facility is well known due to Rock Islands reliance on Waukesha and Buda engines, the lack of other facilities is also worthy of note. Certainly the lack of sheet metal fabrication is surprising, but considering just how much of the Rock Island tractor was supplied parts it probably shouldn’t a big surprise. Case would be forced to outsource much of the early parts the needed for the Rock Island plant for both the RC line and the startup of the V series. What Rock Island did have though was a workforce of experienced, dedicated workers leftover from the RIPC days. I was told by one person who worked in the plant in ‘47 that they were still using an old G2 to move castings around at the time. 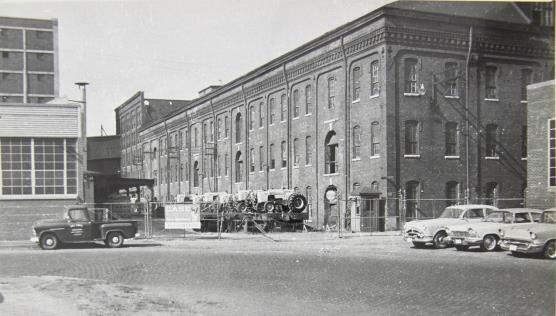 Although now part of the Case Company, Rock Island more then any other Case facility seemed to operate by its own rules, almost independently of Racine, and would result in a rivalry between the RI and the Headquarters. 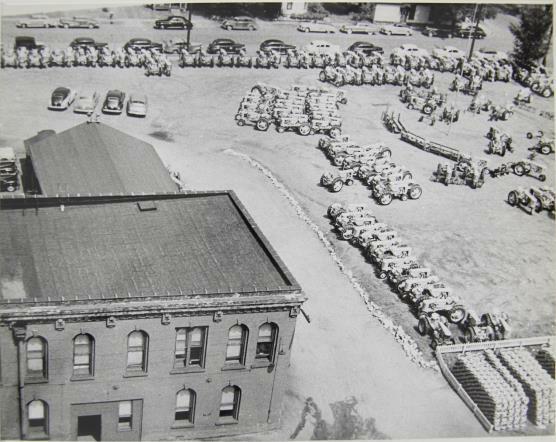 First there was the rebuilding program for old RIPC tractors that while certainly not entirely off the books, was likely of a larger scale then Rock Island would acknowledge to Racine. This was followed by early development of a small tractor at Rock Island, including the purchase of a Farmall and John Deere for testing purposes well before Racine gave permission. Indeed, Rock Island was well on the way in development when approval for the V series was given according to both Kulhavy and Erb. This independent mentality would continue even into later years with the early experimenting at Rock Island with diesel engines. For the time being though, I will leave the development of the V series and later Case tractors at that. Certainly Erb and Brumbaugh’s “Full Steam Ahead”, Wendell’s “150 years of Case” and various other books dedicated to Case can cover these lines in more detail and authority then I currently can. The Case Rock Island plant would remain in operation into 1987, after Case and International Harvester merged. At that time, as a bid to reduce excess production capacity, the plant was shuttered and later demolished, despite being one of the more modern facilities. Today, the Rock Island Plow Company is little more then a foot note in history aside from a few collectors and enthusiasts scattered around the country. The most famous part of the legacy of the Rock Island Plow company however, is not its presence in Rock Island, but its branch house in Dallas Texas on building Dealey Plaza. After the branch house burned down in 1901, it was rebuilt as a seven story building in 1903. After RIPC shut down, the building was sold to D. Harold Byrd who would lease it to the state of Texas. 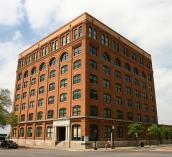 On Nov 22 1963, Lee Harvey Oswald, a temporary employee, would shoot president John F. Kennedy from the 6th floor of the former RIPC building that had become the Texas School Book Repository. Today, the building is a historical attraction and contains the 6th Floor Museum, housing a collection of artifacts relating to the assassination and the building. Below: Literature from the J.I. Case Company supporting RIPC products circa 1938. 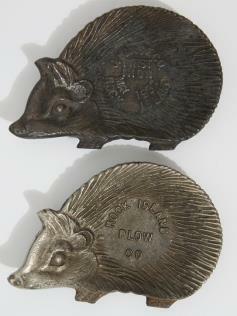 Below: These hedgehog ashtray’s were cast from leftover pour material I believe. The top says “J.I. Case Co Rock Island First Iron May 1937” while the bottom one is simply “Rock Island Plow Co”. 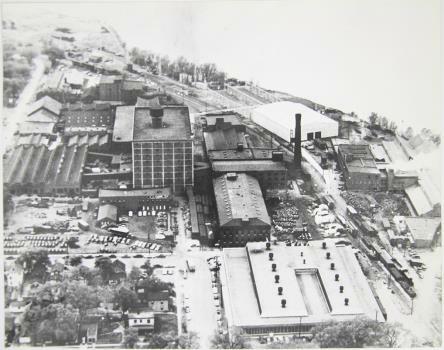 Above: Aerial of the factory circa 1950’s.